Looking to get your hands on some low price replacement Hyundai OEM parts for a DIY project on a weekend afternoon? Our Las Vegas Hyundai dealership offers OEM parts coupons & discounts to our customers in Clark County for the best deals and prices on all Hyundai cars, SUVs and hatchback OEM parts. 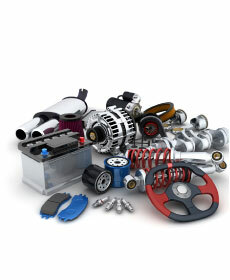 Our specials and offers are updated frequently to provide you with cheap prices on parts for your Hyundai vehicle. These parts may include: synthetic oil change, brake pad replacements, wiper blades, vehicle accessories and more. Give our parts department a call or come visit us in person at our Clark County Hyundai dealership at 6825 South Redwood St., Las Vegas, NV 89118 near Henderson and Summerlin today or give our to receive help over the phone. You are also welcome to contact our Hyundai service center to schedule an appointment for any installations, replacements or maintenance that may be too daunting to try by youself. Our staff looks forward to assisting you and maintaining your vehicle to ensure your safety on the roads! May not be combined with any other offer or service repair. Must produce coupon at the time of purchase. Electrical parts are not returnable.